Handwoven carryall basket sold along Oaxaca’s roadsides or at the local marketplace. 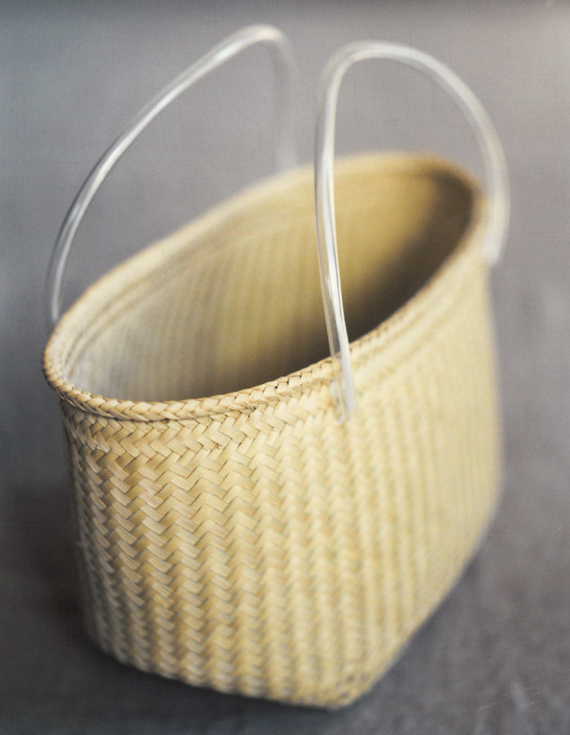 Our baskets are distinguishable by their durable plastic-covered handles, a clever adaptation by their maker, Filiberta. During an early trip to Oaxaca in 1995, Christina spotted the handled baskets while driving out of town, then spent two days tracking them down. They were the first Oaxacan product dosa carried as is. We continue to purchase a steady supply of baskets from Filiberta’s family every year, providing reliable work that allowed them to buy a house. Since Filiberta’s passing, her daughter, Silvia, has carried on the family’s weaving tradition. Cotton fiber grown according to the standards of organic agriculture, chiefly: without the use of synthetic pesticides or fertilizers; no genetically modified seeds; controlling insects by natural methods; keeping plants healthy; and weeding fields by hand. Growing cotton organically benefits the environment, the local population, and the economy. It reduces farming costs, increases revenue for farmers, is better for the soil, reduces water consumption, and produces healthier crops. It is indeed hard work and more labor intensive. Without the use of synthetic pesticides and fertilizers, cotton crops must be grown rotationally alongside maize, sesame, sorghum and chilies to replenish the soil. Nitrogen-fixing plants like lentils and chickpeas are intercropped to repel pests, while maize and sorghum are grown to attract beneficial insects. Soil fertility is managed with compost, manure, earthworms, and other biodynamic preparations. Weeding is done by hand. Cotton bolls, in which the fibers grow, are picked once they have fully matured. Harvesting is done by both women and men, sometimes with three generations of a family working the same field. The farmers here do not harvest robotically or under time constraints. They selectively take the fibers that are ready and spend only a few hours a day performing this activity. When not picking, some may tend to the field’s pheromone traps used for natural pest control. At day’s end, picked bolls are collected and consolidated into large piles. They are then ready for ginning, where seeds are separated from the lint. 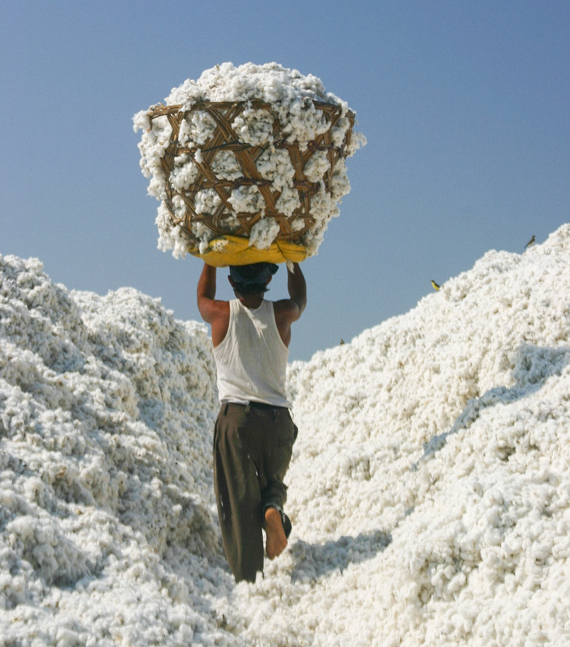 Seeds account for roughly two-thirds the weight of raw cotton. Ginned cotton is finally brought to market where it is sold by weight, eventually to be carded and spun into fiber.